Samsung is a well known smartphone company which has marketed various types of smartphone in different price ranges in Nepalese market. However, many people preferred to use J Series because of its budget. The J7 only was the high end device that too belonged to the J Series and this time Samsung has introduced a new variant of the J7, the J7 Pro. 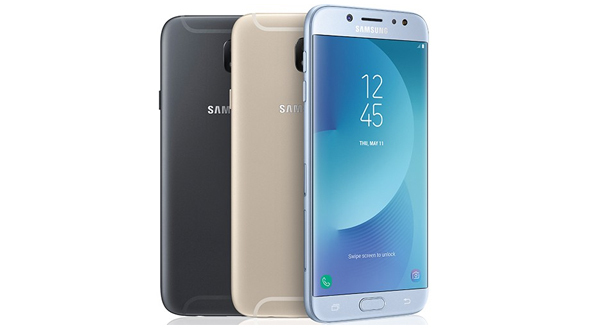 The Samsung Galaxy J7 Pro can be said as the updated version of the available Samsung Galaxy J7 Max, as it is slightly different than the existing J7 Max. The smartphone, Galaxy J7 Pro, somehow replicates the body design of the old Samsung Galaxy S6, which once had ruled out the market. The smartphone has been made out of a metal body which makes it durable and stronger. The smartphone also possesses 2.5D curved glass at the front which protects your device’s screen from getting scratched. Overall, the smartphone looks premium in your hand and gives you pleasant experience while using it. The Galaxy J7 Pro possesses an earpiece at the top of the screen followed by a front facing camera, a LED flashlight and sensors house. Coming beneath the screen, you can find a physical home button, and recent app and back button, which unfortunately are not backlit. The home button, besides, works as a fingerprint sensor which provides fast response. The smartphone consists of main camera, and a LED flashlight at the rear. 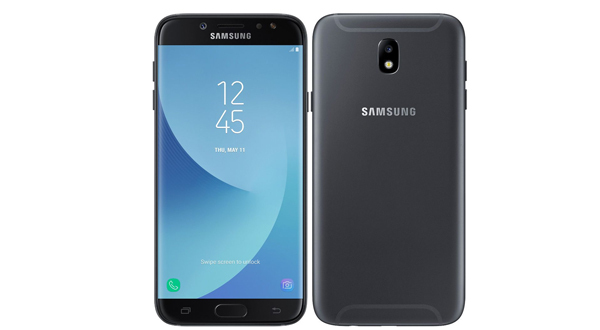 The Samsung Galaxy J7 Pro, besides, features Micro USB 2.0 port which however has become outdated. The bottom part also contains a 3.5 mm earphone port and a microphone. The right hand side of the smartphone possesses a power key followed by a speaker above it, whereas, the left side consists of volume rockers and SIM and SD card slots. The Samsung Galaxy J7 Pro possesses 5.5 inches screen with Super AMOLED panel which makes the device look good. The screen also possesses 1080 x 1920 pixels resolution which is good as per the device’s budget. The screen can go at the high brightness level making it visible under harsh sunlight. The screen produces vibrant and saturated coloring along with good viewing angles. Moreover, Samsung has shipped the Galaxy J7 Pro running with Android 7.0 Nougat. Further, the smartphone is clocked with outdated Exynos 7870 Octa chipset, Octa-Core 1.6 GHz Cortex-A53 CPU, and Mali-T830 MP1 GPU. The device lets you to play your favorite games without any problem, however, the device may lag while playing heavy games. The device, yet, doesn’t get hot with the heavy usage. Moving towards camera, the Samsung Galaxy J7 Pro sports 13 MP rear camera having the large aperture of f/1.7. The rear camera does it job well in the daylight and provides good depth of field in the images you take. The camera also works quite well in the lowlight condition with good details in the images. The camera too possesses various features that make your device more interesting. The J7 Pro, further, acquires 13 MP of front facing camera that also has large aperture of f/1.9. The front camera is as expected and the camera lets you to shoot good self-portraits. The front camera is also supported by a LED flashlight that allows you to capture some memories in the darker areas like theatre, concerts, etc. Further, the Galaxy J7 Pro is powered with 3600 mAh battery which can be said as a good thing in this device. The battery, as per its power, is capable of giving backup of one and a half day with single charge while using the device heavily. The device can also last for 2 days with normal usage. However, the device still lacks fast charging which can be found in other devices found in the same price line. The Samsung Galaxy J7 Pro is available in four color variants; Black, Blue, Gold and Rose Gold.